You must be here from the awesome Liliya Rytsar's blog. Welcome to Studio Katia's New Release Blog Hop. 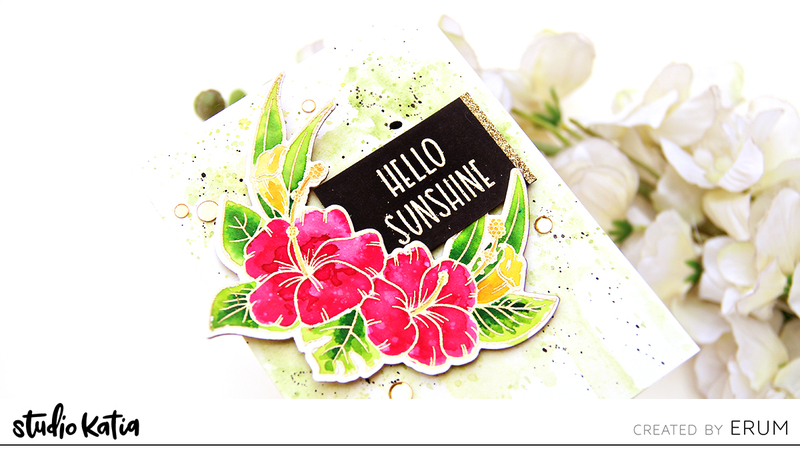 This release includes 7 new clear stamp sets, 6 sets of coordinating dies, 5 new stand-alone Creative Dies, 6 new Stencils and a new embellishment! I will be sharing two cards with you today. First up is the gorgeous Aloha Stamp Set. I started by adding a light colour wash to my background using two shades of green. Once that was dry, I added splatters of the same green shades and also that of black watercolour. Next, I heat embossed the image in Ranger Princess Gold Embossing Powder and coloured it with Ecoline Watercolours. Once the watercolour was dry, I used the coordinating dies to die cut the image and stacked it once for sturdiness. I heat embossed the sentiment on black cardstock with the same embossing powder and arranged both the elements in a way that they fit snuggly. To finish, I adhered some gorgeous gold confetti. Next up is the Star Date Stamp Set and the Large Polka Creative Stencil. I stamped the star and it's eyes three times, separately. I then coloured these in yellow and kept them aside. For my background panel, I first inked the panel lightly in an aqua shade and then through the Large Polka Stencil, I applied the same ink with a heavier hand to get darker polka dots. I love how this came out! Looks like a pattern paper. To finish, I adhered the stars on a piece of string and then to the card front with foam tape. I also applied glossy accents over the stars. 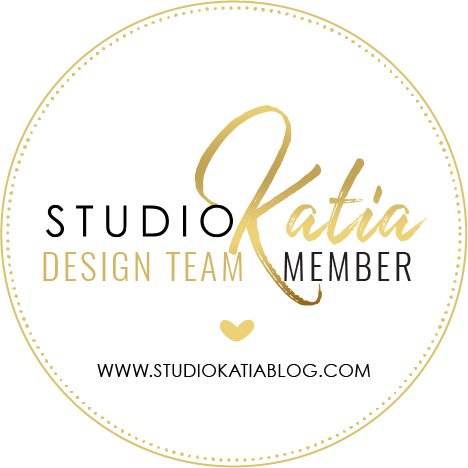 Studio Katia is giving away TWO $50 CAD gift certificate on their Blog. Winners will be chosen randomly from comments left on Studio Katia Blog. Make sure to leave all the comments by Friday, March 22nd, 2019 11:59 PM EST. I have an additional $25 gift certificate to giveaway on my Instagram. Beautiful cards. The hibiscus flower is stunning! The starfish are so cute, but I love the gold embossed hibiscus - really beautiful! Wonderful creations! I especially love your Aloha card! Beautiful the first card and super cute the second one. Fabulous cards! I especially love those gorgeous hibiscus!!! I love Aloha set, your cards are just so pretty. Wow love your cards - the colors and designs are so inspirational! Love your cards. Your coloring on the Aloha set is amazing. Love the gold embossed flower. Absolutely stunning on that subtle background. The stars are so sweet. Thanks for sharing. Both are done so nicely! Completely smitten with your showcases! The hibiscus are stunning; the trio of stars, absolutely darling! Your fabulous compositions make for a duo of delights! My list from this release is loooongggg! 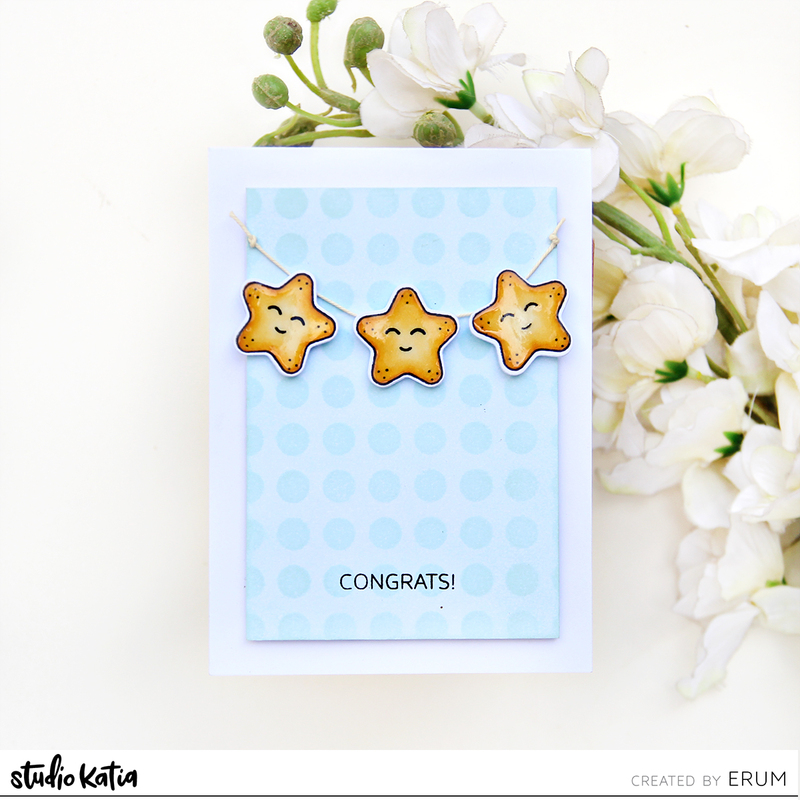 Such sweet and beautiful cards, Erum! 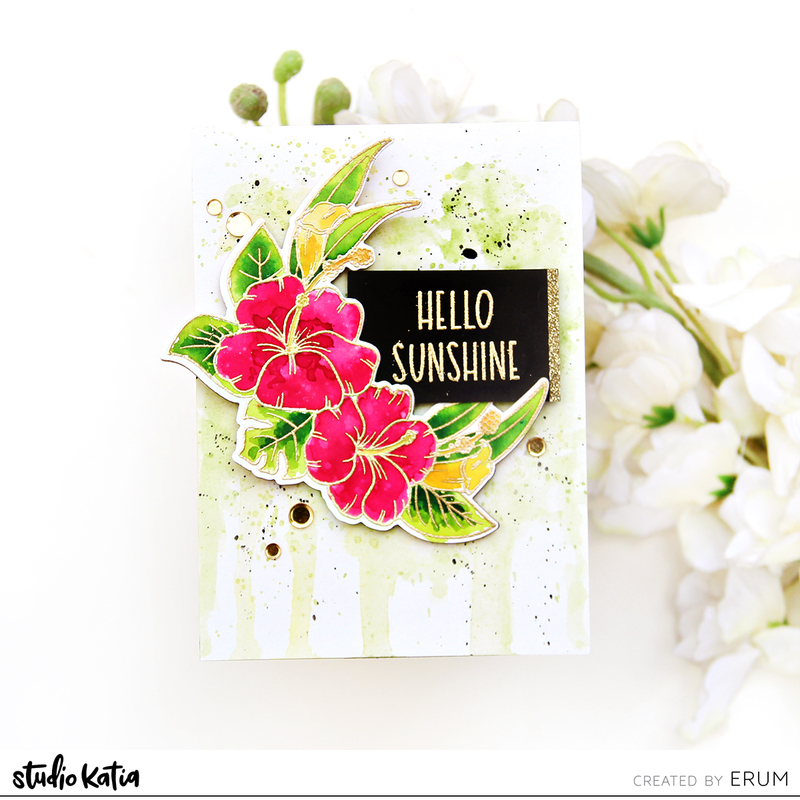 Such a pretty hibiscus card...love the background. Adorable star banner. Gorgeous and cute cards. Love the gold on the first one. Two beautiful cards! What a great release from Studio Katia. Oh my goodness, fantastic cards! Gorgeous and striking vs fun and playful. Both your cards are really gorgeous!!! Love the colors!!! Beautiful cards. I especially love the first one -- the Aloha set is one of my favorites from this wonderful release and that card is stunning. Fabulous cards! Spectacular coloring on that gorgeous hibiscus design! Your Hibiscus is stunning. You always surprise me with your talent. The colors are very vibrant and delicious!! Wonderful work!! Fantastic cards! Your stars are adorable! You've shared two fab cards that beautifully showcase these new products. Wonderful cards! 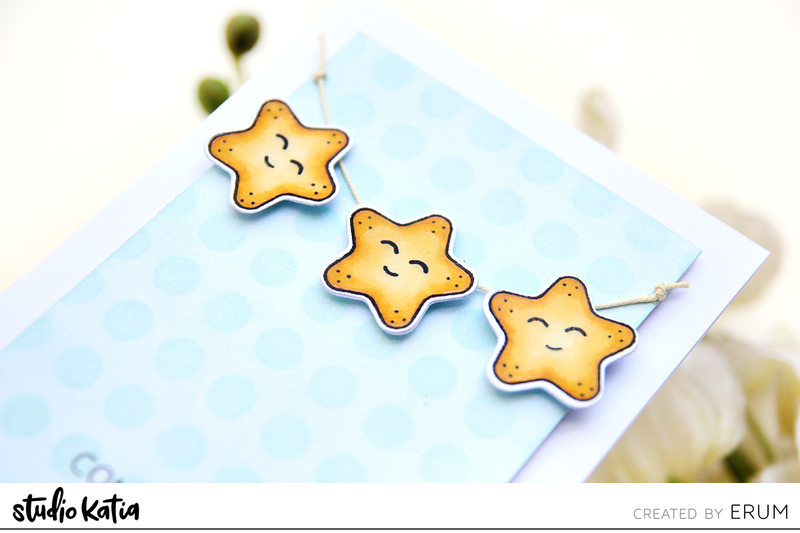 Those stars are adorable and I love the background and flowers on your first card. Two cards with Pinkfresh Studio!